I love Pellon products, and figured I would answer everybody that has the “where do I find pattern paper?” question at the same time! And while we’re on the subject of making patterns – you’ll also need a “curved” tool. You can use a French Curve if you have one, but our Curved Ruler was made specifically for pattern making projects. 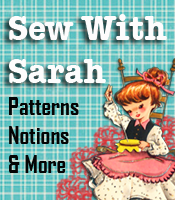 Happy sewing and pattern making! I’m hoping these two items will make your projects much easier! Get your year (and finances) off to a great start! You can start a new business or kick your current business into high gear with this big sale. No coupon code required – all business books are already discounted. Sale ends Friday, February 26. Check out some or all of the following business books, load your cart and the downloadable books will be available immediately upon payment. Each business manual has all the information you need to start that particular business. If you or someone you know needs some extra cash, you’re at the right place to get started. In the “Jumpstart Your Business” book, one chapter alone “Free Advertising…Yours For The Asking” (a case study) can give you $10,000+ worth of advertising for the price of a stamp and envelope. Follow our success strategy and be on the road to financial freedom! If you are into crafts and make items that everyone would LOVE to have, the “How To Sell Your Handmade Items” will give you specifics on where you can sell them online – and I’ll bet we know some hot spots you haven’t heard of before! This sale is only through Friday, Feb 26 – no coupon code required!